Be the first to share your favorite memory, photo or story of William Scot. This memorial page is dedicated for family, friends and future generations to celebrate the life of their loved one. 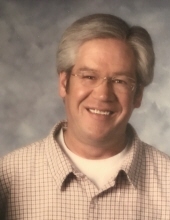 William Scot Vance, 61, of Great Falls, passed away peacefully Sunday, February 3, 2019 at 830 a.m. at the hospice house after a short, unexpected cancer diagnosis. There will be a memorial service February 11, 2019 at 2 p.m. at Hillcrest Lawn Memorial Chapel. Scot was born on June 21, 1957 to Keith and Gladys Vance, in Great Falls, MT and went to Great Falls Public Schools, graduating from GFHS in 1975. He met and married Debbie Dwyer in 1981 and had two wonderful children Bryce and Liz. They subsequently divorced in 2004 but remained friends. Scot loved and adored his children as well as multiple nieces and nephews and all of his close friend’s family. Scot worked as a salesman for many years at Resers, Wilcoxon’s, City Chevrolet, Pete’s Auto and United Materials. Scot found his true calling at Bruco Inc. and earned many accolades and awards for his salesmanship. Scot took great pride in everything he worked for and accomplished because he was such a hard worker. Scot is survived by his children Bryce in Billings and Liz in Great Falls. He also is survived by his brother Mike (Barb) and sisters, Shawna (Scot) and Sue. He was preceded in death by his father Keith and mother Gladys. Scot will always be remembered for his infectious smile and his love of life. He was always the happiest when he was with friends and family whether it was hunting or holiday get togethers. A special thank you comes from the family to Randy and Patty Wood, Jeff Farrington, Doug Hickey, Kevin and Debbie Schmid, Steve Justice, Chris Heine, and Richie Janzer for being such wonderful friends throughout his life. To plant a tree in memory of William Scot Vance, please visit our Tribute Store. "Email Address" would like to share the life celebration of William Scot Vance. Click on the "link" to go to share a favorite memory or leave a condolence message for the family.